The Daily Mail last night refused to apologise for their story that claimed buses and planes from Romania and Bulgaria to the UK were full up and sold out, or to agree that their story was inaccurate. The world’s most popular online newspaper had reported that many Romanians and Bulgarians were coming to the UK following the lifting on ‘work restrictions’ on 1 January. The Mail claimed that seats were sold out; that one airline had to double its flights to meet demand, and one-way air tickets were selling for £3,000. The paper announced that ’29 million Romanians and Bulgarians’ now had, ‘the right to work in the UK’. Their New Year’s Eve edition reported that all buses from Bulgaria’s capital to London were sold-out for the first week of January and that almost all flights from Romania were full-up. The paper claimed that Wizz Air, the no-frills low-cost carrier, had to raise its prices to £300 a ticket because of the demand. Yet here on EU ROPE I posted two blogs claiming that buses and planes were not full; tickets were still available at reasonable prices; Wizz Air hadn’t doubled its flights, and demand for bus and plane tickets was about the same as this time last year. In fact, the main bus company in Bulgaria said that ticket sales were down. I sent a comprehensive letter of complaint to Paul Dacre, the Daily Mail’s Editor – published here – claiming that their story was inaccurate and misleading, and that the paper should publish a prompt correction and apology. Also, their researcher still asserted that Wizz Air had doubled its flights from Romania to the UK to meet the increased demand. A response from Wizz Air, who strongly deny the Mail’s claims, can be read here. (Strange that this ban didn’t prevent other journalists including myself talking ‘on the record’ and at length with Balkan Horn without any problems). The Daily Mail’s story, headlined ‘Sold out! Flights and buses full as Romanians and Bulgarians head for the UK’ claimed that plane and bus loads of Romanians and Bulgarians were not only coming to the UK for jobs, but were intent on finding ways to claim on the UK’s benefits system. Firms had been set up to advise them how to do it, or how to avoid paying government fines, reported The Mail. In addition, Romanians and Bulgarians were posting on website forums asking how to get a Council House, child tax credits or maternity benefits in the UK. The Daily Mail article caused indignation and alarm among their readers. The story was shared via social networking over 58,000 times and attracted almost 1,800 comments. ‘Our country is already full. I am disgusted..’ posted reader Pete from Essex, attracting 981 reader approvals. ‘Please please, please don’t come here, we don’t want you,’ wrote reader MontyPython, winning 8,378 reader votes in favour. ‘It churns my stomach to be invaded like this, we must take action,’ commented Mat, winning almost 11,000 favourable ratings. The Daily Mail moderated all their readers’ comments before they were published. Comments against Bulgarians and Romanians coming to the UK considerably outnumbered all others. The paper quoted Romania’s ambassador to the UK, Dr Ion Jinga, that the influx of migrants since 1 January ‘never happened’ with just 24 Romanians coming to the UK and only 21 to Holland. Ironically, many of the Mail’s readers who posted 850 ‘moderated’ comments flatly refused to believe the story. 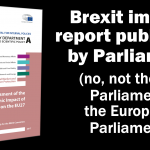 ‘Your newspaper could have published a similar report on 31 December 2012 – instead of 31 December 2013 – to claim high demand for buses and flights from Romania and Bulgaria to England following the Christmas break. *What are the addresses of websites and forums that the Daily Mail claimed are offering advice to Romanians and Bulgarians on how to claim benefits in the UK? *What are the names of firms that the Daily Mail reported give advice to Romanians and Bulgarians on UK benefits and how to avoid paying fines by HM Customs and Excise? *What are the names of the journalists who reported for you, especially the ‘respected Romanian political journalist’ you have stated helped you with this story? *Has the Daily Mail reported to the appropriate authorities in Romania, Bulgaria and the UK details of the firms and websites offering possibly illegal advice? There are so many loose ends with the Daily Mail’s story that last week I decided to enlist the help of my colleague, Alina Matis, award winning journalist and Foreign Affairs Editor of one of Romania’s leading newspapers, Gândul. Alina recently won a prize in the ‘European Reporter’ contest for her article about immigration. ●The claim is flatly rejected by Wizz Air, the airline named by the Mail as doubling its flights from Romania to the UK ‘to meet demand’. Wizz Air flights from Romania and Bulgaria to the UK were only increasing by 30%, stated the airline, and that was for summer 2014. The Mail’s claim that tickets from Romania to London from 1st January were being sold for £3oo was also misleading. Wizz Air flights from Bucharest to London were available on New Year’s Eve for travel the next day at only €190 each (£158). ● The £3,000 ticket was offered by Alitalia for a non-direct route from Bucharest to London via Rome. As I pointed out to the Daily Mail, they’ll always be oddly priced, oddly routed tickets. But why mention it when direct flights were readily available for less than £160? Who would buy a £3,000 ticket when much cheaper ones were available? ● The Daily Mail claimed that their story didn’t say if there was a link with Romanians and Bulgarians coming to the UK and the lifting of ‘work restrictions’ on 1 January. The Mail’s legal department told me, ‘It is for a reader to make a connection if he or she chooses.’ But the connection seemed clear enough in the sentence above. ●Apart from the fact that it simply isn’t possible, let alone likely, that the entire populations of Bulgaria and Romania would all move to the UK, the Daily Mail’s claim that 29 million from both countries have ‘the right to work in Britain’ from 1 January cannot be correct. Romania has 3.5 million children under the age of 15; many of them are babies. Is the Mail claiming they have ‘the right to work in Britain’? There are also almost 1.2 million children in Bulgaria, and a combined elderly population of Bulgaria and Romania of over 4.5 million. Are they all coming to work in the UK too? 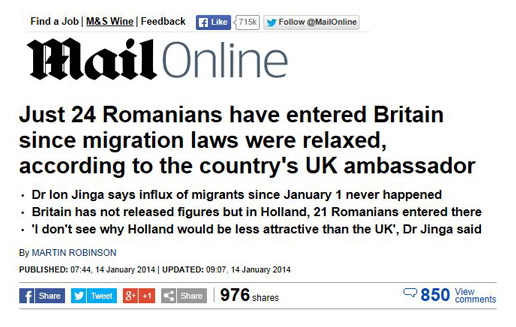 Also, the Daily Mail was incorrect to state that ‘controls’ were imposed on Romanians and Bulgarians in 2005. The ‘transitional controls’ were imposed by some EU member states – including the UK – in 2007 when Romania and Bulgaria first joined the European Union. During the transitional period, Romanians and Bulgarians could only work in the UK with a work permit, although students could work for 20 hours a week during term time and full time during holidays. From 1 January 2014, Romanians and Bulgarians are able to come to work in the UK, or to look for work, on the same basis as other European Union nationals. ●The Daily Mail claimed that messages on internet forums in Bulgaria and Romania asked how to claim benefits in the UK. No details of the website forums were given in The Mail story. The Mail declined to let me have the addresses of the websites they referred to, so that I could check them. Of course that doesn’t mean such forums don’t exist; but it does seem odd, and not best journalistic practice, for the Mail not be open about this. Mr Kalinov explained that last January the Daily Mail had interviewed him for a story published in February 2013: ‘Mafia bosses who can’t wait to flood Britain with beggars: While politicians dither over new wave of immigration from Eastern Europe, ruthless gangmasters are rubbing their hands with glee’ Mr Kalinov claimed that the article presented ‘untrue facts’ about him, so that when the Daily Mail contacted the company again last December for another interview, they refused. As Ms Dzhongova doesn’t speak English, Mr Kalinov conducts all interviews with foreign media, and he said no one from the Mail had spoken with Ms Dzhongova or to him or anyone else in the company. ●I asked the Mail for the name of this firm and whether they had reported them to the authorities for possible illegal activities. The Mail declined to answer. The Mail’s story also referred to another anonymous firm helping Romanians find work in Britain whose spokesman was quoted as saying, ‘There are already many using these social benefits without necessarily having an urgent need for them.’ But the Mail didn’t name the firm and has not accepted my request to provide more details. 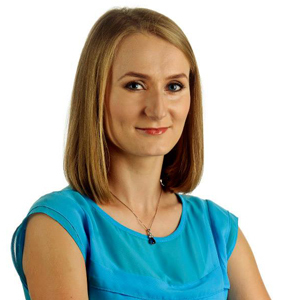 ● Commented my Romanian journalist colleague, Alina Matis, ‘Svetlanka Beaucheva has been impossible to find. She only seems to exist in the Daily Mail article. The Bulgarian who helped me told me that the Daily Mail might have misspelled the name when they tried to adapt it to English, because it doesn’t sound right and he tried some variations of it, but couldn’t find her anywhere.’ It does seem strange that the Daily Mail didn’t give the name of the travel agency. Furthermore, it wasn’t correct that as at 31 December – the date of the Daily Mail article – that all bus seats to England were booked until 9 January. I was able to book a seat on the bus from Sofia to London on 3 January; and according to the bus company, that bus had five spare seats when it left Sofia for London. 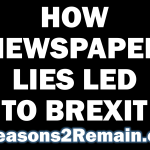 ● Balkan Horn deny any knowledge of ever talking with the Daily Mail, and say they would never have given such a quote as it wouldn’t have been true; there were seats available on their buses to London, and no increased demand because of the change in EU rules. In fact, demand for bus journeys to England had gone down. Last night the Mail’s legal department explained that, ‘The published comments from the worker at the Balkan Horn office at Sofia bus station were given on the condition that he was not named because there is a company ban on speaking to journalists.’ This seems odd, as both myself and my journalist colleague, Alina Matis, had no problems talking several times with Balkan Horn, and found them to be very helpful. There was no ban by the company on speaking to journalists. Ion Prioteasa told Alina, ‘I was referring to the doubling of the number of passengers from Craiova Airport in the next year, but we have many other destinations other than Luton. We have Bergamo, Milan, Rome, we are now trying to have flights to France and Barcelona. 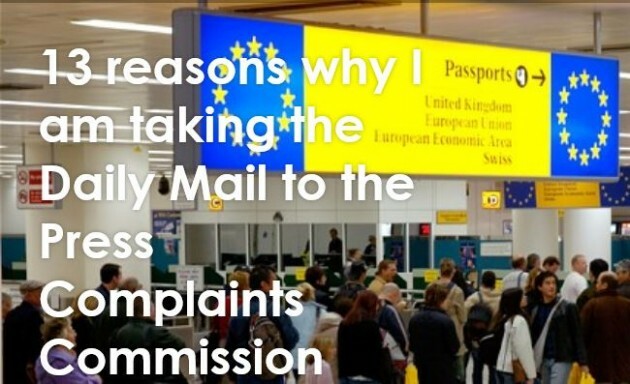 I had no knowledge to support a statement regarding the number of people traveling to UK in the coming year.’ Mr Prioteasa confirmed that he had never spoken with the Daily Mail. Did this Daily Mail report represent a trick or the truth? It is for you, the reader, to decide, if you so choose. However, there is a potential problem with Code 12, as it only refers to discrimination against an individual, rather than discrimination against an entire race, nation or ethnic group. To me, this seems nonsensical, as racism is usually directed against an entire race, in addition to individual members of that race. 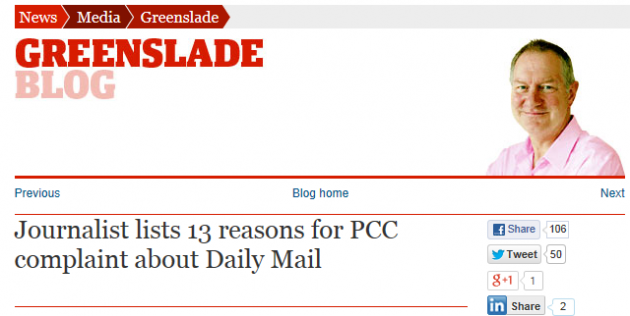 Some time ago I attempted to complain to the PCC under Code 12 about an allegedly racist headline in my local newspaper. Since the headline referred to an entire race, and not to an individual, the complaint was rejected. (I will be writing more about this soon on my other blog at, Jon Danzig’s World.) However, if you are a Romanian or Bulgarian, or a named person in the article who feels you have been discriminated against, then you may wish to consider complaining under Code 12 in addition to Code 1. If you feel that the Daily Mail article breached the PCC’s Editor’s Code of Pratice, please promptly complain online to the PCC using this form. All you need to do is explain why you wish to complain and which Codes of Practice you consider have been breached. If you wish you may refer to the evidence presented in my blogs here. If you’re going to complain, please do it soon. Please re-Tweet and share on Facebook. 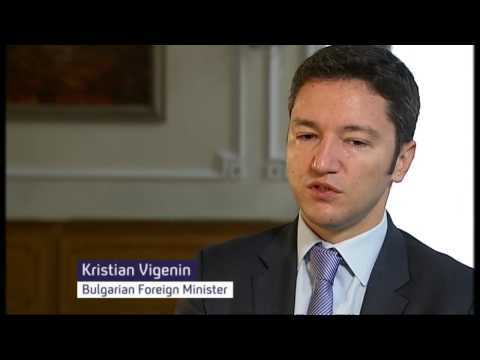 ‘It was billed as a flood, but it’s been barely a trickle so far – there’s been no sign that masses of Romanians and Bulgarians are heading for these shores, but the rhetoric has been described as heated at best; toxic and divisive at worst’ – Channel 4 News reports, and ask Bulgaria’s Foreign Minister, Kristian Vigenin, if Bulgarians are victimised in the UK? This entry was posted in Current Affairs, Democracy & Citizenship, Economics & Trade, Global & International, Law & Justice, Media & Communications, Politics & Public Policy, Society & Culture, The EU and tagged Alina Matis, Balkan Horn, Bulgaria, Daily Mail, EU, EU ROPE, European Movement, Gandul, Hilary Kingsley, Ion Jinga, Ion Prioteasa, Jon Danzig, Kurats Eurolines, Mail Online, Paul Dacre, PCC, Press Complaints Commission, Romania, Wizz, work restrictions. Bookmark the permalink. Next: David Cameron’s alternative Union speech? Well done Jon. IMHO this article should be mandatory reading for all prospective journalists. Actually…widen that net to everyone who reads news on the internet ! 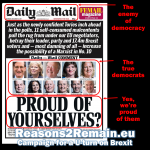 Well done – about time the Daily Mail learnt was journalism really means! Florin Preda: respect pentru ce? Pentru dezinformare? Pentru lipsa de respect a unora? Pentru manipulare? Sau doar pentru ca este un gunoi strain? Well written and really impressed you’ve decided to tackle this. I’ve been living in the UK for over a year now and so far I have met some amazing and open minded people. This entire DM campaign just came as a total shock … many thanks again! who will want to move to england they have very bad whether ther is a lot of nice places in this world. Congratulations, Mr. Danzig! About time someone took on the DM with its insufferable hysteria, which you have shown is largely wrong – worse, twisted. As a Welshman resident in Bulgaria, I have followed all the UK press hype with despair and disbelief, as have all our Bulgarian friends and acquaintances. Shame on the DM (and other UK media); shame on the Brits who react so negatively in their comments; shame on a UK government that added to the hysteria (benefits scroungers, etc.) purely as a pre-elction ploy. BTW: that 29 mn figure, as you point out, is ridiculous. It isn’t even accurate: the 2011 census figures from Bulgaria and Romania add up to approximately 27.5 mn. Please persist in your investigations, despite Paul Dacre and his conflicting positions! Raduil is a village near the winter resort Borovetz (you can easily find it in google maps). So, Bulgarians are criticized for travelling from their own capital to their own home places? I have tried to comment on this article, but my comments were never published. During a discusiion in the forum of Bulgarian newspaper Dnevnik other participants complained that their comments have not been published as well. I have written in my comments that the station in these pictures is for national lines (lines within Bulgaria) only. In a later article Daily Mail has published pictures of the right station (the international lines). Thank you for investigating this. It is truly outrageous that this newspaper is allowed to make such clearly incorrect claims. I have submitted my complaint to the PCC based on your information and hope they will investigate this matter further. As A DUTCH man living and working in Bulgaria I know the facts very well. Thank you very much for pointing out their scandalous faults and getting some realism into the ‘discussion’. Hello, Mr Danzig, thank you for your wonderful article and for coming to our defence. I am a Bulgarian woman who has felt violated for months and months by Daily Mail’s lies, insults and hysteria. Every time I tried to publish a comment under their articles, they never let it see the light of day. I have a question, though: is there any way to share your article on my Facebook profile. I searched for a button but I saw nothing. Any tips? Dear Yuliana, thank you for your comments. Thank you so much, Mr Danzig! Thank you for all your work for debunking these absurd myths. The level of the British tabloid press (Daily Mail, the Express, but even the Telegraph) is shocking. Since when is lying through the teeth to create panic and hate against people from certain countries acceptable journalism? Was this not the UK we are talking about? (I thought this type of xenofobic propaganda was from another age). It is good to see some voices of reason out there, before it’s too late. In the 1960s and 70s Commonwealth migrants arriving in the UK challenged the racism they confronted with by proclaiming “We are here because you were there.” We are here because your country entered ours and radically altered ways of life, enriching some but also plunging others in new forms of poverty, and putting an unsustainable strain of the social structures which had provided for the security and well-being of local populations in the past. “We are here because you were there”, applies with equal force for the people of any country which has been brought into the mainstream of market globalisation, whether they are the post-colonial nations of Africa, Asia and the Caribbean region, of the post-Soviet societies of Eastern and Central Europe. Supporting the moral right to “be here” is the basic reason why the migrants’ rights movement is bound to support, not just equal treatment and non-discrimination for those who have managed to fit in with the rules proscribed by official migration management, but also to test and stretch these systems by pushing harder to widen and extend the channels through which people migrate. For many this earns them the status of being ‘illegal’ migrants, but the opprobrium attached to that title carries ought to be regarded as on a par with the term ‘runaway slaves’ in the years before abolition. In both cases the breaking of the law takes place as a consequence of a class struggle between labour and capital at a global level, with labour struggling to obtain better terms for itself by changing the ways in which markets operate. When a right to migrate is in place the ability of migrants to obtain the other rights due to them and spelt out in international conventions will be hugely enhanced. Without the fear of arrest and deportation, migrants will have the confidence to press for better terms and conditions of employment. As the rights gap between themselves and other tax-payers is diminished they will be able to claim a proper stake in the benefits and public services which exist to promote the welfare and security of the community. Finally, the ultimate genius of proclaiming a right to migrate lies in the fact that it does not depend, in its early stages at least, on the action of any government to bring it into being. The eminent historian of human rights, Lynn Hunt, has described how the struggle for change is not initiated by government authority, but ordinary people who feel a lack of something important in their lives: “You know the meaning of human rights”, she argues, “because you feel distressed when they are violated.” It is the action which arises from this feeling of distress, the determination to obtain redress and push against all the forces that deny relief, that drives our societies towards reform. The distress that is acute for many people across the world today comes from the fact that, whilst they are obliged to live in the world create and ordered by the rise of the global economy, the right to make at least a part of that world work better in their interests is denied to them. The assertion of a right to migrate through the direction action of migrants, combined with solidarity action on the part of others who recognise the legitimacy of the claim for that right, is the core logic of what we mean today by “migrants’ rights”. So, how we organise ourselves for the campaigns that will be needed to make this right a reality? I currently live in Bulgaria and follow closely the theme about the alleged Bulgarians/Romanians who would(or would not) emigrate to UK. What “Daily Mail” is doing is against all the existent codes of ethics. The hatred against Bulgarians and Romanians that is imposed among the average British citizens is truly unacceptable, to say the least. I have to admit I have been planning to work and live in UK in the future. But even if I came, it never crossed my mind to come and live off welfare(as many UK citizens do most of their lives). I rather hope of getting a decent job so I can support me and my daughter. It never cross my mind to take away jobs from British citizens. Anyhow, most Bulgarian and Romanians DO jobs that none of the British would do. How many British(and I am talking white, born, bread in UK) would actually do housekeeper jobs or do all the rest, let’s call them, “dirty”jobs. They would do it abroad, but never in UK. If I come to UK I DO HAVE what to offer actually. I speak 5 languages, studied in University, I have Cambridge Diploma in EL and still do not consider myself as a threat to any British job seeker. A big part of the so alleged emigrants have higher education and trust me, not many of them look for ways to benefit from your welfare system. Before such statements are made it is better to actually gather information HOW many Bulgarians and Romanians actually do live off the welfare and COMPARE the number with the rest nations of emigrants that currently live in UK. Here I plead that you cannot judge a nation by the few number of gypsies or crooks that come to UK and try to use all the ways to trick the system. They do it here, in Bulgaria too. We are ashamed of them too. But every country has them. And they are NOT the face of Bulgaria. The majority of us are hardworking, honest and educated people. Unfortunately poverty here is increasing and it’s hard to live, but then our motivation to work better is increasing too. So yes, we have what to offer and we do not deserve all this hatred! The Ex – British Empire should know better. Do not ban us only because we are not common wealth! I am sure that the Bulgarian and the Romanian emigrants are the least problem of UK. The kind of publications serve only to feed the mass. Pity if the mass actually decide to eat what it’s given to them. Thank God that some real journalism do still exist in the name of the Mr. Jon Danzig, he is my hope that all is not lost in Britain. Yet. I have received a reply from The Press Complaints Commission. It is as follows:I write further to your complaint to the Press Complaints Commission about the article headlined “Sold out! 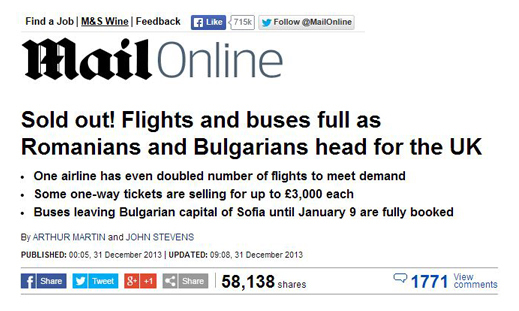 Flights and buses full as Romanians head for the UK” published by the Daily Mail on 31 December 2013. Mr William Galloway complained to the Press Complaints Commission that the newspaper had published inaccurate information in breach of Clause 1 (Accuracy) of the Editors’ Code of Practice. The complainant said that the newspaper had incorrectly claimed that flights from Romania to London were full, and that seats were selling for up to £3000. The complainant had been able to find available spaces on these flights at reasonable prices. While some flights did cost up to £3000, these were indirect flights which went via countries outside Europe. I should make clear that the above outcome reflects a resolution that the complainant considered to be a satisfactory response to his complaint; it is not a PCC ruling. In instances where a complaint has been resolved to the satisfaction of the complainant, the Commission does not generally rule on the matter. If you do not feel that the actions taken by the newspaper are sufficient to address the concerns you raised in your complaint, I would be grateful if you could inform us in the next seven days. It would be helpful if you could explain why you consider the actions to be insufficient. What annoys me is that the ‘clarification’ is so minor as to be laughable, and my complaint, along with the even more detailed complaints of so many others, have been swept away in a stitch-up deal with one complainant. The process adopted by the PCC is designed to dissipate the reasoned arguments of complainants, allowing the newspaper to come to a back-room deal on one aspect, and then the PCC moves to close the whole thing down as quickly as it can. If ever we needed another example of why Leveson needs to be implemented in full, this is it. Of course I am not going to let the PCC of the hook, and I shall continue to provide work for Mr. Yip, even though I don’t have any doubt that the outcome will be the usual white-wash. I am very disappointed by your message. The process you have adopted to deal with the many complaints received about this scurrilous article reeks of complicity with the newspaper. How can you possibly justify permitting the newspaper to strike a deal with one complainant, when this person has no right to speak for the rest of the complainants? Mr. Galloway is not my appointed representative, nor the representative of any of the other complainants. It is your duty to pursue the complaints of all those who took the trouble to contact you. The pathetic ‘clarification’ published in the deal struck with Mr. Galloway falls so far short of what is required as to be risible. There is plain evidence that the newspaper article contains many untruths (‘inaccuracies’) and on the basis of these untruths the article seeks to build an image in reader’s minds where a very large proportion of the population of both Bulgaria and Romania are heading to the UK in order to live off the state by claiming benefits, or by taking up employment. The Galloway/Daily Mail clarification only addresses one untruth, albeit an important one concerning the supposedly full flights and buses. Yet there are many other challenges to the veracity (‘accuracy’) of this article which have been ignored. This statement clearly builds on the untruth that flights and buses are full. It is clearly inaccurate, should have been qualified by an estimated number, and is designed to give an inaccurate image that large numbers are heading to the UK. Thus statement, when read alongside the one in A) above, is inaccurate as it contributes with the false claims about flights and buses being full to a false image that millions of Romanians and Bulgarians are set to arrive in UK as soon as restrictions are lifted. This is so obviously invented it is ridiculous. 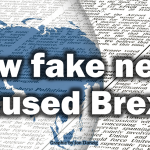 It is in the interest of the Daily Mail to publish the source so it can be verified, otherwise the only conclusion that can be reached is that the website and quotation do not exist – another ‘inaccuracy’. ‘Aleksandra Dzhongova, who runs a legitimate employment agency in Sofia, said other firms had been set up with the specific intention of helping immigrants understand Britain’s welfare system, rather than filling job vacancies. This has subsequently been refuted by the person named, who does not speak English. The person named says they were never contacted by the Daily Mail. 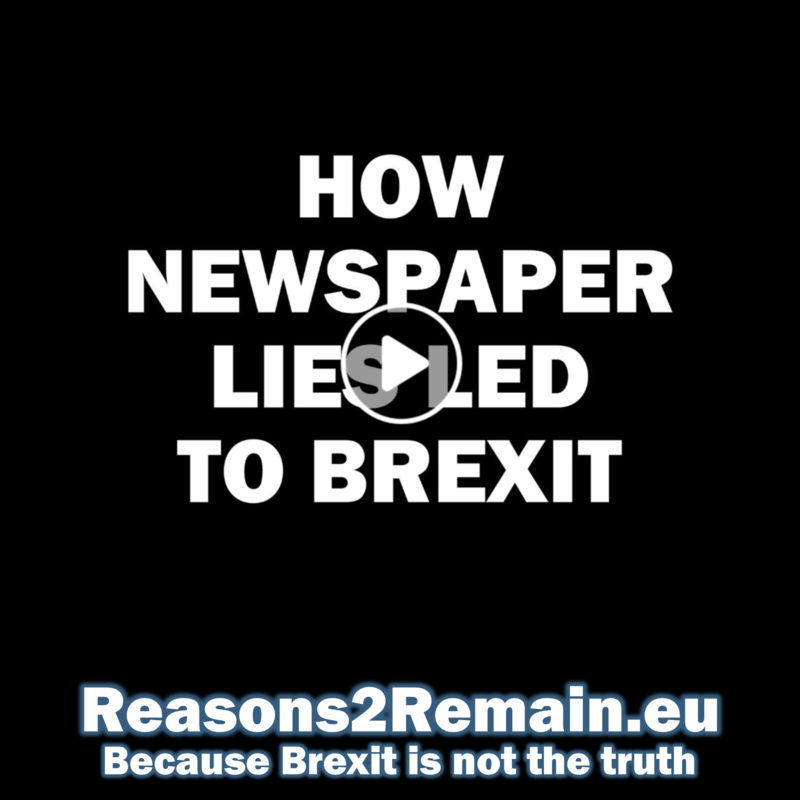 So another inaccuracy’ or plain untruth, which has been invented by the newspaper to build its case that the UK is about to be flooded with Romanians and Bulgarians. The Daily Mail should publish the notebooks of the reporters to prove this quote was ever made. This is such slack journalism it is jaw dropping. Why is the firm not named? Again the only conclusion must be that the ‘firm’ does not exist and this is yet another invented statement or quotation. Again the Daily Mail is challenged to prove its source or otherwise the only conclusion must be that this is yet another ‘inaccuracy’ or more plainly untruth. The article claimed that a company called Priority Point was contacted. Subsequently Priority Point have denied all knowledge of such contact by the Daily Mail. There is a pattern emerging here of several firms or people, including Karats Eurolines and Balkan Horn, that the Daily Mail claim to have spoken to, but all deny any such contact. Once again this shows ‘inaccuracy’ (or plain untruth) and the Daily Mail must produce the evidence which any responsible journalist would have to show that these interviews took place. The above show why this issue is far too important for the Daily Mail to hide behind a tiny clarification about one aspect of a thoroughly bad piece of tendentious, politically motivated, mendacious journalism. In the light of this I expect you to pursue my complaint to the full.